The Brazilian turnaround kings behind 3G Capital gained control of a Canadian icon when Burger King merged with Tim Hortons in 2014. But the doughnut restaurant chain is falling short of today’s Canuck values when it comes to diversity on its board. The $10 billion restaurant holding company’s all-male lineup looks very 20th century. A shareholder just failed to force action, but 3G risks distraction if it doesn’t catch up. Prime Minister Justin Trudeau’s Cabinet, split evenly on gender lines, is the showcase for the current thinking. When it comes to corporate boards, Canada does just slightly better than the global average with 19 percent of public-company seats occupied by women, according to a report last year from MSCI. Before 3G’s Burger King came along, Tim Hortons’ directors included three women. Now, the 11-member board of parent Restaurant Brands International is entirely filled with men. The men behind 3G, led by Alex Behring, have served outside shareholders well with a disciplined approach to spending and budgeting, including at Anheuser-Busch InBev and Kraft Heinz. As majority owner of Burger King prior to the Tim Hortons bid, 3G nearly tripled the chain’s enterprise value in four years. It may be, though, that some of the same attention needs to go into choosing directors. At RBI’s annual meeting on June 9, investors rejected a proposal from OceanRock Investments to increase diversity. The company said it had adjusted its search processes and it didn’t try to lean on owners, choosing not to recommend how they should vote. In the event, 16 percent of shareholders backed OceanRock – a figure which rises to 30 percent if 3G’s votes are stripped out. That’s in territory 3G shouldn’t ignore. And it’s a bit of a pattern. Along with RBI’s all-male boardroom, AB InBev counts just two directors who are women out of 14 in all. Kraft Heinz does only slightly better, at two out of 10. It’s perhaps not a coincidence that corporate Brazil is a laggard on diversity: the proportion of women on public-company boards is only about 6 percent, according to MSCI. Most of RBI’s outside investors may have given 3G the benefit of the doubt, but there’s a risk the issue turns into a distraction across the firm’s holdings. Behring and his colleagues are surely too smart to let that happen. 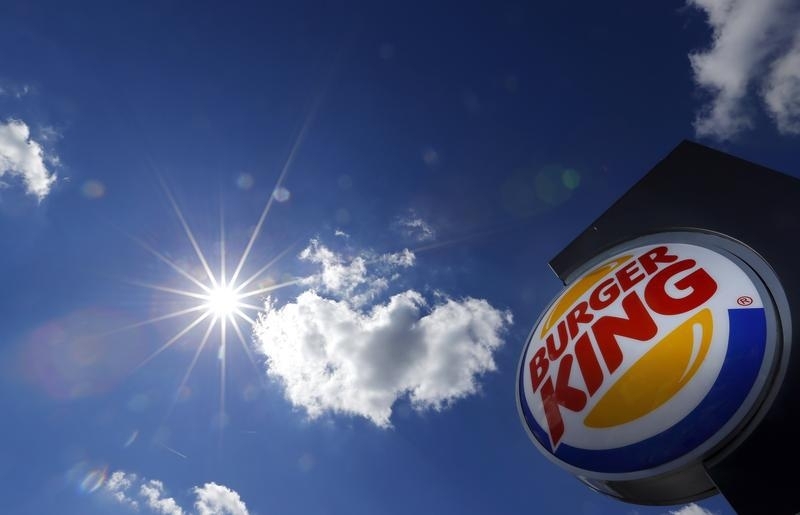 The logo of a Burger King fast food outlet is seen at the chain's drive-through branch in Hanau. Restaurant Brands International shareholders on June 9 rejected a proposal to increase gender diversity on the board. There are currently no women among the directors at the Burger King and Tim Hortons parent. A filing with the Securities and Exchange Commission on June 13 showed that 16 percent of RBI investors voted in favor of the proposal. Canadian firm OceanRock Investments introduced the proposal, noting the contrast between the all-male RBI board and Prime Minister Justin Trudeau’s pledge to fill half of his Cabinet positions with women. OceanRock Chief Executive Fred Pinto said in an interview with Bloomberg on June 9 that if at least 7 percent of directors voted in favor of the proposal, his firm would make further attempts to address the issue. Investment firm 3G Capital effectively controls RBI with 42.5 percent voting control. Among 3G’s other portfolio holdings, Kraft Heinz and Anheuser-Busch InBev have two female directors each.